Social Media Day is a worldwide event created by Mashable in 2010. The first one was a huge success. On Social Media Day 2010, there were more than 600 Meetups in 93 countries with nearly 12,000 attendees. Thursday June 30 is the second annual international event. The point of Social Media Day is to celebrate the advancements in technology and social media that enrich our lives virtually in the offline world recognizing the importance of in-person relationships. Social Media Day is organized by city and we are organizing a Kauai Social Media Day in Lihue. Founded in 2005, Mashable is a major force in the area of Social Media. If you are not yet subscribed to the Mashable.com newsletter and you have any interest in social media, I recommend this free service. The Mashable website currently gets more than 40 million page views monthly and is a very prolific provider of guides and news related to social and digital media as well as technology. 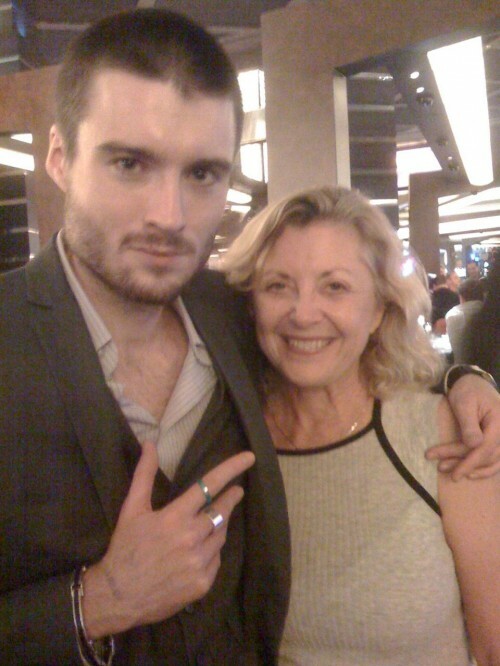 Mashable Founder Pete Cashmore with Linda Sherman at BlogWorld 2008. Our celebration on Kauai has two parts. The purpose is to support economic prosperity on Kauai. Using social media to bring our voices to the world with information and aloha spirit from Kauai promotes positive feelings and awareness of our Garden Island to the world. You would like to discuss social media because you think it might be important to your business, your non-profit or your organization. You will get your questions about social media answered, you will make friends who are also interested in the topic, and you will likely run into friends you already know. 22North will provide separate checks for your lunch. 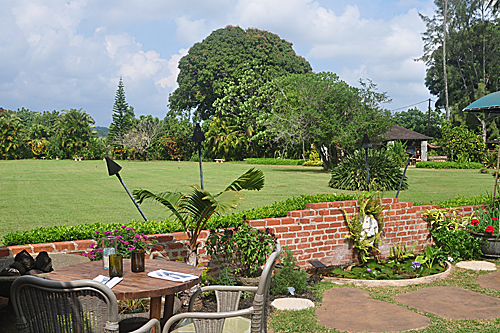 They have a $10 special lunch and other great choices, so don’t be concerned about the cost. This is the 22North Restaurant Lunch Menu. Please RSVP so that we can get a head count. To RSVP, please comment here. And/or it would be great if you are already on Meetup.com or if you are willing to set up an account on meetup.com – add your RSVP on the Social Media Day Meetup Page. On June 30th, Social Media Day, from 10 – 11am and 2:30 – 4pm I will be providing free 15 minute telephone consultations. I am offering this if you are or will be using social media for a business, non-profit or organization on Kauai. Please contact me for an appointment on Social Media Day at the following email: Linda dot Sherman at CourageGroup.com. Please include a link to your personal Facebook profile or some other way that I can recognize you. Your Facebook profile link looks like http://Facebook.com/LindaSherman If it is still just a number, that is fine, you can sent that, but you should know that you can grab your Facebook Vanity URL by going to http://Facebook.com/UserName. I am a professional member of the Social Media Club of Kauai and a proponent of Best Practices Social Media. One Best Practice you may not be aware of is that Facebook Terms of Service clearly state that a Facebook Profile should represent a real individual. Facebook Profiles are not to be used for the names of companies, organizations, places or brands. If you are doing that, you are in danger of having your Facebook Profile taken down. You should take steps to migrate that profile to a Facebook Page. You can tell that your Facebook Page is a page and not a profile if at the top there is a “like” button. If you have friends rather than likes, you have a Facebook Profile. Social Media Club members in Honolulu are meeting in the evening at the Honolulu Social Media Day Meetup. They are using #SMDayHNL on Twitter.